It’s the first question a person asks when they find themselves with excess cash for the first time in their lives. I see it in the personal finance group I administer on Facebook, I hear my wife talking to her former students about it, I even hear it from friends who have high salaries but no idea how to invest. While it’s a question with plenty of right answers, the first way I answer it is by explaining asset allocation. 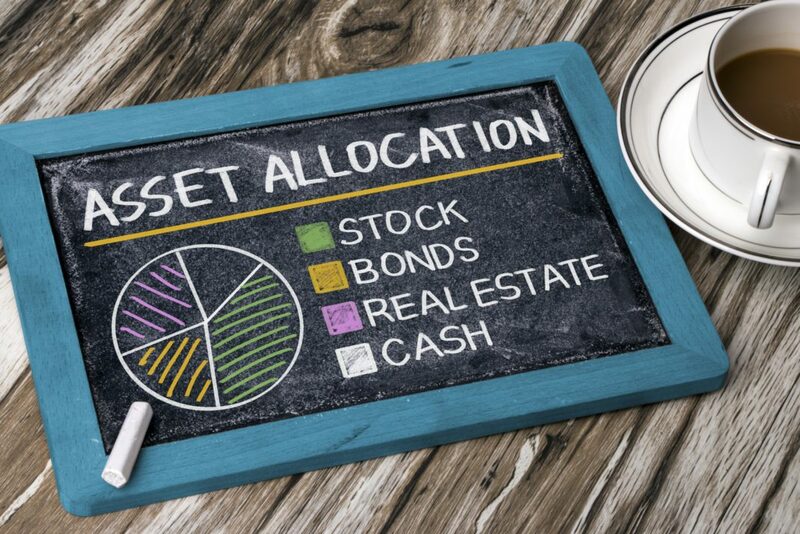 Like so many personal finance terms that sound confusing and intimidating, asset allocation is actually a simple concept. Asset allocation is how you split your portfolio among different types of investments. On the most basic level, that means asset classes, such as stocks, bonds, and real estate, perhaps sprinkled with an “exotic” investment like cryptocurrency, fine art, or even wine. For example, say Isabel Investor aims for her investments to comprise 80% stocks, 10% bonds, and 10% real estate. That’s her target asset allocation, at least for right now; both her target and her actual asset allocation will shift over time (more on that later). She also has some cash set aside as an emergency fund. Because an emergency fund serves as a safety net rather than an investment, we won’t focus on cash reserves here, but it’s worth mentioning as it is still an asset. I like to think of asset allocation as a series of tiers. The simplest tier is asset class. Asset class is the percentage of your portfolio that goes into stocks, bonds, and so on. But it’s not enough to say, “I want to invest 80% of my money in stocks.” There are millions of stocks, mutual funds, and exchange-traded funds (ETFs) in the world, and picking one company — or even one mutual fund — and investing in that alone as the “stocks” portion of your portfolio hardly makes for a balanced, diversified portfolio. Fortunately, it’s easy to diversify within each asset class. The next tier of asset allocation is region. To continue the example above, Isabel aims for her portfolio to be 80% stocks, which she splits evenly between U.S. stocks and international stocks. Among international stocks, she splits them further between developed economies (such as Europe and Canada) and emerging markets or developing economies (such as Brazil and the United Arab Emirates). Thus, among her stock investments, she aims for 50% U.S. stocks, 25% international developed nation stocks, and 25% emerging markets. Isabel doesn’t have to pick and choose individual stocks. Instead, she invests in ETFs that track stock indexes in these different regions. She picks one or two ETFs for developed international stocks and one or two ETFs for emerging markets and calls it a day. The same principle applies to bonds, real estate, and other asset classes. If Isabel invests in rental properties, she can buy one in Baltimore, another in Buffalo, and so forth. Or if her real estate investment is indirect, she can buy shares of a real estate investment trust (REIT) that invests in U.S. real estate and another that invests in European real estate. At a more detailed level, investors can invest in stocks with different market capitalizations, or “caps” for short. 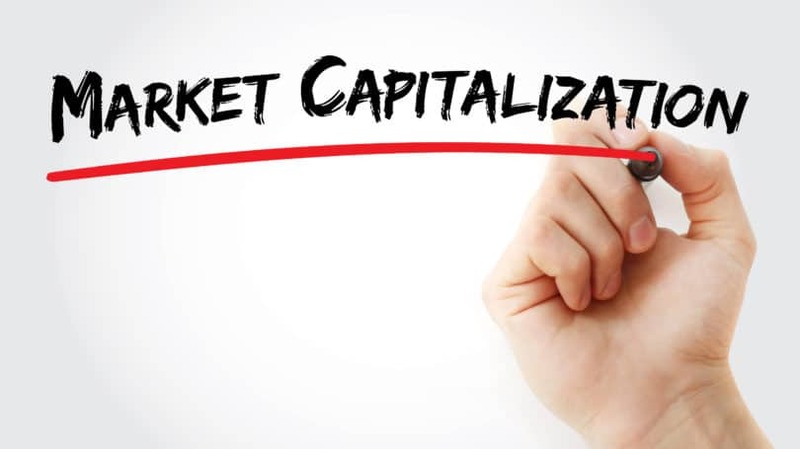 Market cap is the total value of a company, as measured by its share price multiplied by the total number of shares on the market. Large-cap companies are generally large corporations; small-cap companies are smaller, which means they have more room to grow but less stability. Among her U.S. stock investments, Isabel invests in an index fund that tracks small-cap stocks, another that tracks mid-cap stocks, and another that tracks large-cap stocks. See how at each tier, Isabel gets more detailed in her asset allocation? Within both her U.S. and international stocks, she splits her investments further based on market cap. How Detailed Should You Get? In short, it’s up to you. You can get more and more detailed with your asset allocations to whatever extent you like. Beyond market cap, you can choose specific sectors to invest in, such as energy, technology, or utilities. Within a sector, you can choose increasingly detailed specifications. Say Isabel invests some money in the tech sector among her U.S. small-cap stocks and picks a fund that invests in 3D printing companies. She can keep getting more and more detailed in her asset allocation tiers, all the way down to individual companies — or she can choose not to. The more detailed you get, the more attention you should pay to your investments. I personally no longer pick individual stocks or even sectors because I didn’t like the stress or the feeling that I constantly needed to keep an eye on them. Sure, there’s a possibility for higher returns if you pick a stellar stock, but it costs time and effort to research and follow individual companies. The level of detail you want to go into in your asset allocation is a personal choice based on your own stock investing strategy. I recommend going to the level of market cap at least and investing some money in large-cap funds and some in small-cap funds. Even if you’ve never invested a cent, you’ve heard the adage “Don’t put all your eggs in one basket.” That’s the rationale behind the investing strategy of diversification. The goal of asset allocation is to balance high returns with manageable risk through diversification. Just imagine where you’d be if you had put every penny you had into Enron stock! Sometimes stocks do well, but bond returns lag. Other times, stocks collapse, while bonds continue returning income. Real estate often does well even when stocks suffer a correction. The more you diversify, the less interrelated are the returns on your investments; for example, the relationship between U.S. real estate returns and European stock returns is distant. Even within the stock portion of your portfolio, diversification is a great way to reduce risk in your stock investing while still earning high returns. By strategically spreading your investments across multiple asset classes in multiple regions, and then splitting them even further within those regions, you can protect against a shock in one area having an outsized effect on your broader portfolio. Over the long term, stocks outperform bonds, and handily. In a paper released by NYU’s Stern Business School, analysts showcased how $100 invested in 1928 would look after 90 years if it were invested in U.S. stocks versus U.S. government bonds. If invested in 10-year Treasury bonds, that $100 would have grown to $7,309.87 by the end of 2017, after adjusting for inflation. Invested in the S&P 500 (U.S. large-cap stocks), that $100 would have ballooned into $399,885.98. That’s nearly 55 times higher than the $7,309.87 returned by bonds. But stocks are far more volatile, making them a higher risk for retirees. While you’re working, saving, and investing, market dips represent an opportunity to buy stocks at a discount. You don’t need to sell any assets to pay your bills; you can ride out the dip without selling a single share if you so choose. That changes in retirement. Instead of buying, you’re now selling, and when the market drops, you have to sell more shares to produce the same income. Market dips are all downside for retirees, which means volatile investments like stocks become a serious risk. 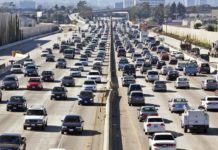 This unique risk that the market crashes within the first few years of retiring is known as sequence of returns risk, and investors have several strategies at their disposal to mitigate it. 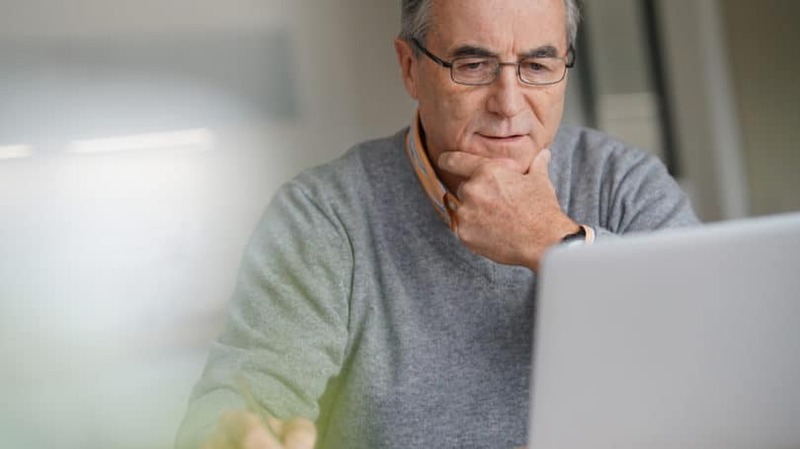 The most common of these stock risk management strategies is to gradually shift your asset allocation away from stocks and toward bonds and other lower-risk asset classes as you get older. In decades past, the rule of thumb preached by many financial advisors was to subtract your age from 100 to determine your “ideal” allocation in stocks, with the remaining balance to be invested in bonds. For example, by this “Rule of 100,” a 40-year-old should invest 60% in stocks and 40% in bonds. But with people living longer, and with bond returns lower today than was typical in the 20th century, the Rule of 100 skews too conservative for most investors. 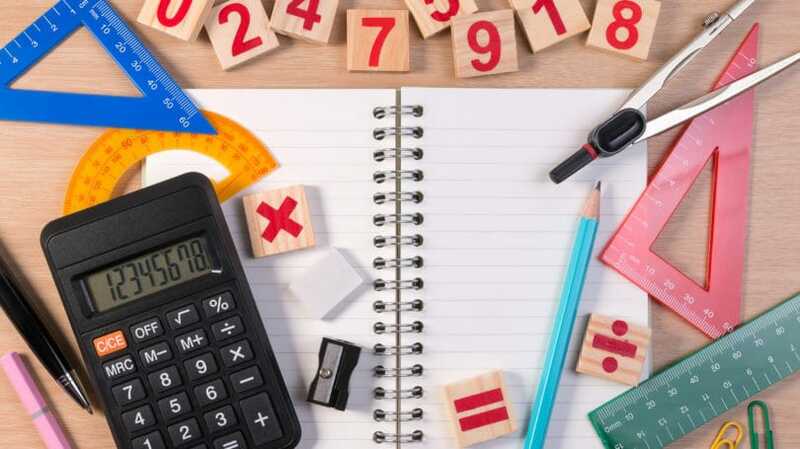 Many financial advisors now recommend that investors subtract their age from 110 or 120 to determine an appropriate stocks-bonds asset allocation. While it’s an improvement, even this rule is problematic. Where do other asset classes like real estate fit into the equation? And how do risk tolerance and job security impact the numbers? As a general rule, investors with lower risk tolerance should subtract their age from 105 or 110 as a starting point for determining their asset allocation. Investors who don’t flinch at the idea of riding out the occasional market correction should subtract their age from 120 as a guideline for what percentage of their portfolio should be in stocks. Remember, this is just a guideline, not a commandment written in stone. Don’t hesitate to personalize your own investing strategy and asset allocation, especially after speaking with a financial advisor. If asset allocation has your head spinning and your blood pressure up, another option is just to let someone else set it for you. That could include a financial advisor or money manager, but they can get expensive. These financial professionals typically require a minimum “assets under management” to take over active management of your investments. That minimum could be $100,000 or $10,000,000, but whatever it is, that puts them outside the reach of many Americans. That’s why target-date funds have sprouted up in recent decades. A target-date fund lists a specific year when investors plan to retire, and its managers adjust the asset allocation accordingly. For example, someone looking to retire in 2025 could invest in the Vanguard Target Retirement 2025 Fund (VTTVX), which will continue shifting investments away from stocks and toward bonds over time. After the target retirement year, the fund continues operating and becoming more income-oriented and less growth-oriented. As an investor, I fall on the more aggressive end of the spectrum. But here is my asset allocation strategy as an example, along with some tips for how you can make yours more conservative if you so choose. I’m in my late 30s, and I currently invest in a mix of stocks and real estate, but no bonds. Specifically, I aim for roughly 75% of my portfolio in stocks and 25% in real estate. I own rental properties, which can be a stable income-oriented investment, but only for skilled investors. Many investors are drawn to them because they feel more intuitive than stocks, but I only recommend them for the minority of people who are genuinely interested in learning about real estate investing. It’s less intuitive than it looks, and it takes time to learn how to do it without losing your shirt. In contrast, stock investing — at least the way I do it — is often easier than it seems to new investors. I no longer try to pick stocks, and instead invest in index funds to gain broad exposure to different regions and market caps. Anyone looking to lower their risk can lean more toward U.S. stocks, invest more in large-cap funds and less in small-cap funds, and invest less in emerging markets. It’s also worth noting that investors have many options for investing in real estate beyond direct ownership. From REITs and mREITs to crowdfunding websites like Fundrise and private notes, real estate makes an excellent counterbalance to stocks. I invest in REITs and private notes, in addition to owning rental properties directly. Through my 40s, I intend to continue splitting my investments roughly evenly between U.S. and international equity funds. In my 50s, I plan to scale back on emerging markets and small-cap international funds and put more into U.S. funds. Again, as someone with real estate experience and an aggressive investing strategy, I invest more in real estate and less in bonds than the average person. I use real estate to serve the function of creating stability and income in my portfolio, much like bonds do for most people. Because I plan to continue working and earning money later in life, I’m less eager to start adding bonds to my portfolio than the average person. By the time I reach my mid-50s, I plan on an asset allocation of roughly 55% stocks, 25% real estate, and 20% bonds. A more conservative investor can reduce their real estate exposure in favor of bonds. Nearing retirement, I plan to continue the gradual shift away from emerging markets and small-cap funds. With the proceeds from this, I’ll start buying more high-yield funds paying substantial dividends and continue the shift toward bonds. I will survey my real estate investments and sell any that fail to generate consistent income on a year-to-year basis. That money will increasingly go into both bonds and paying off debt. As you approach retirement, eliminating debt is an excellent way to reduce risk. If I owned 15 rental properties with mortgages, I would consider selling 10 of them to pay off the mortgages on the other five, leaving me with five free-and-clear rental properties. That logic goes doubly for unsecured debts — pay them off, period. As a starting point for asset allocation by age, subtract your age from 110 and invest that percentage of your portfolio in stocks. Conservative, highly risk-averse investors can use 100 or 105 instead of 110, and more aggressive investors can use 120. 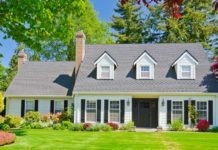 Invest the rest in bonds and possibly stable real estate investments if you’re younger, less risk-averse, and interested in learning how to invest in real estate. Within your stock investments, more conservative investors should invest more heavily in U.S. large-cap funds. The more aggressive you want to be, the more you can invest in small-cap funds, international funds, and emerging market funds. Again, these are merely guidelines — a starting place for your conversation about asset allocation rather than the final word. If you’re comfortable and want to have full control over your account, you can get everything started with Ally Invest. Another option is hiring a financial advisor. If you don’t want to hand over your entire portfolio to a stranger or pay high management fees, you can hire a financial advisor by the hour and sit down with them for an hour or two to form a plan customized to your finances. You can also invest in a target-date fund and leave asset allocation to a professional fund manager. Just make sure you do your homework to verify that the fund is reputable and won’t skin you alive with expenses. If you want to simple way of tracking your portfolio and its allocation you could try Personal Capital. They have a free investment checkup tool that will analyze your portfolio making sure you have the right allocation based on your risk tolerance and financial goals. Click here to try Personal Capital for free. No discussion of asset allocation is complete without addressing portfolio drift and rebalancing. Because your portfolio is not a static entity, your asset allocation doesn’t politely stay frozen in place for you. Over time, some investments inevitably outperform others, often dramatically. What started as a portfolio made up of 80% stocks and 20% bonds may drift to 90% stocks and 10% bonds in a bull market. You need to review your investments periodically and rebalance your portfolio to return it to your target asset allocation. Continuing the example above, you would sell some of your stocks and buy bonds to return your asset allocation to 80% stocks and 20% bonds. Keep in mind that even if your portfolio doesn’t drift at all, you still have to rebalance occasionally as your target asset allocation changes with age. New investors sometimes suffer analysis paralysis, hand-wringing and stressing about concepts like asset allocation. Don’t lose sleep over asset allocation; it’s better to invest with a technically “imbalanced” asset allocation than not to invest at all. Remember the study comparing how $100 invested in 1928 would look 90 years later in stocks versus bonds? If left in cash and not invested at all, today you would have — drum roll, please — $100. Compare that with roughly $400,000 if you invested that money in stocks. Asset allocation is all about diversifying your investments to balance strong returns with acceptable risk. A wide range of stock investments across multiple regions, market caps, and sectors reduces your exposure to any one company, sector, or country falling hard. As you near retirement, put more into bonds. If you have some time left in your career, invest in stocks and invest wide and far, using index funds to make it easier to diversify. When in doubt, ask for help. It’s that simple. What’s your strategy to diversify your investments? G. Brian Davis is a real estate investor, personal finance writer, and travel addict mildly obsessed with FIRE. He spends nine months of the year in Abu Dhabi, and splits the rest of the year between his hometown of Baltimore and traveling the world.